a child's wheel. It has a very small orifice and a small bobbin. treasure to own and display in your home. bearings have been replaced on treadle. Has a very tall distaff. 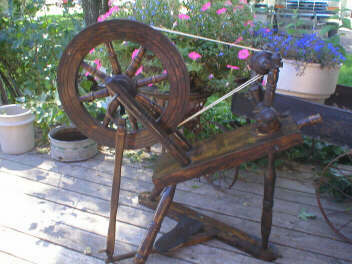 Excellent addition to any spinning wheel collection.